Climate change is real, it is here and it is affecting us all. South Africa has not escaped global warming and drought is just one result. Parts of Gauteng have seen heavier than normal rainfall this rainy season. Because of climate change, there are now two things every South African wants to do: Save our planet and save money. To save our planet and save money go hand in hand and it is not difficult to do. The benefits of going green are obvious but few understand the cost savings of it. Another benefit of going green is a health benefit. Going green means less pollution and less pollution means healthier kids. Healthier people, in general, mean lower medical bills and thus the money-saving continues. It doesn’t take a lot of effort to go green. Once a person or household starts going green it becomes a habit and going green is something they want to do more. Global Warming and Climate change have become a very real problem. Therefore saving energy is an important factor in saving our environment. How Easy Is It To Save Our Planet And Save Money? 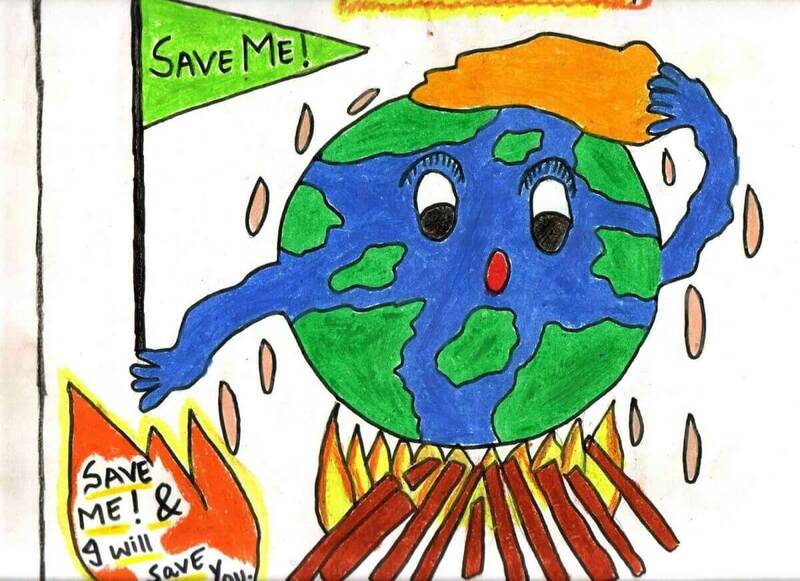 In fact, save our planet and saving money at the same time is easier than you may imagine. And here are some simple ways to make the change and go green and at the same time save some money. All over South Africa, countless homes waste energy. The energy wasted can never be claimed back and the money spent is money spent. Lighting is one of the biggest areas of a home where energy is wasted every day. The first thing to change is your attitude toward lighting. We take electric lights for granted but we don’t respect them. Start saving energy by switching lights off that you don’t need. When you leave the house don’t leave lights on, it makes no sense. Secondly, once you have mastered how to switch lights off switch to a more efficient type of lighting. LED lighting has become more affordable and is 75% more energy efficient than conventional or energy saving globes. The long-term benefits of LEDs really save our planet and save money. Spend a little on the correct LED light will go a long way to save our planet and save money. But it is not just lights we need to become more aware of. Did you know that nearly all appliances draw electricity when plugged in but switched off? Switched on today is misleading and on many appliances such as TVs and home entertainment when switched are in sleep mode. Unplug appliances that are not in use and your electricity bill will noticeably drop. By far the biggest culprit for using energy when not being used is your cell phone charger. If your phone is not charging to unplug the charger. This has to be one of the simplest ways to save our planet and save money. Energy is wasted unnecessarily in almost every home and our own ways of doing things are often the fault. Laundry is an energy-intensive area of any home, but it need not be. Washing clothes on a cold wash clean just as well as a warm wash with the right eco-friendly detergent. A cold wash uses up to 85% less energy than even a low-temperature warm wash. Tumble dryers add convenience to laundry but a little planning and added time can avoid the energy use. It takes a few seconds to bundle clothes into a tumble dryer, switch it on and let it run. It takes a few minutes to hang washing on the line and the sunshine and a breeze do the work. Always use energy-efficient appliances. This will save energy and go a long way in our quest to save our planet and save money. 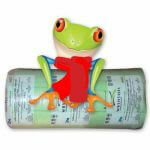 Letting sunshine and nature do the work of drying uses zero energy; one spin in a tumble dryer could be costing you R10. Not only is hanging washing a great way to reduce energy but it saves money in areas you would not expect. Tumble dryers damage clothing; hanging washing on the line does far less damage. Hung washing, therefore, does not need to be replaced or repaired so often. Less replacement and fewer repairs mean cash is saved. Energy saving can also come from a better understanding of the obsession South Africa has with air conditioning. Air conditioning is power hungry and causes health problems. The use of ceiling fans reduces energy consumption dramatically. Fans when used properly with good ventilation cool a room as well. Ceiling fans use about as much energy as a 60 watt light bulb. Aircon uses enough energy to power almost 60 light bulbs. Do the maths, 1 light bulb or 60 to keep cool? The answer is clear. Save our planet and save money. Slowly but surely the penny must be dropping because going green is easy, almost too easy. It gets easier still and energy saving just needs a little thinking. Thinking means taking a step back and understanding the importance of insulation when it comes to energy saving. In fact, the use of Air conditioners will not help you save the planet and save money. The more energy we save will Save our planet and save money. Installing energy efficient Coolerado air conditioners is smart as they consume 80% less energy than conventional air conditioners. Proper and effective roof insulation helps maintain a stable and comfortable temperature throughout the home. South Africans believe insulation only works in cold climates and they are wrong. 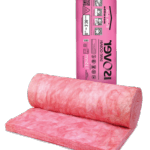 Installing insulation in your roof and walls and around water pipes can reduce utility bills by up to 40%. 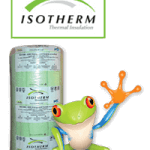 ISOTHERM insulation a proven and trusted insulation products that are also 100% green. ISOTHERM gives back to nature in more ways than just reducing your energy spend. 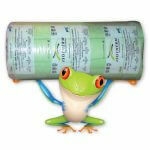 Made from 100% recycled plastic bottles ISOTHERM really does save the planet and save money for any household. 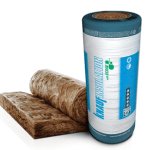 Isotherm is the most eco-friendly roof insulation. Install 145mm Isotherm Insulation and be SANS compliant. Be sure to check the Isotherm specifications to make the right choice for your area. Roof Insulation is a big contributor to Save our planet and save money. Aerolite ceiling insulation is one of the oldest and most popular forms of ceiling insulation. Aerolite is also regarded as an eco-friendly ceiling insulation products. In fact, the 135mm Aerolite Insulation is Sans compliant and achieves the correct R-value 3.70. For more info on the Aerolite, specifications read this page. Insulation is one of the best ways to truly make your house more energy efficient. Insulation keeps your home warm in winter meaning less reliance on heating appliances. Adversely in summer insulation keeps your home cooler and there is less pressure to turn on the aircon or at least use it less. 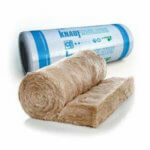 Insulation is a great way to save energy and save our planet. But energy saving is just one area of going green to save the planet and save money. The current drought that is gripping much of South Africa means a greater focus needs to be placed on water use. Despite living in a relatively dry country South Africans love water and habits and thinking now have to change. Getting wise about water is just as easy as getting wise about energy. It doesn’t take a lot of effort and sometimes just requires being aware. How easy is it to turn off a dripping tap? Dripping taps waste enough water to fill a large number of Olympic-sized swimming pools every day. If it won’t switch off then change the washer or call the plumber. Those few annoying drops really do save the planet and save money in the long run. Saving water is a great way to save the planet and make money. Shower shorter or share a bath. There are two sides to this that impact the environment and your monthly bills. Firstly shorter showers or sharing a bath uses less water. To make this, even more, green don’t just let the water flow down the drain reuse it. A bucket in the shower or using a bucket to carry water out to the garden is the most basic greywater system available. Wastewater has many uses and while not fit for drinking can be used in other areas around the house. Secondly shorter showers and sharing baths use less hot water. Unless you are taking cold showers or enjoy a cold bath your water heating accounts for almost 15% of your electricity bill. Use less hot water and your water and electricity bills both drop. Flushing toilets are also taken for granted but we underestimate how much water they use. Some homes like many campsites have a policy of “if it’s yellow let it mellow. If it’s brown then flush it down”. It is not the most hygienic concept but it does use less water. More hygienic and just as effective is to put a brick in the cistern that simply means less water is used. Ideally, a low flow or small cistern toilet should be fitted to save water in the bathroom. If this is a bit too much then look up not down. Look up at your showerhead and replace it with an eco-friendly low-flow showerhead. Low-flow showerheads are easy to install and relatively inexpensive to buy. Finally to get wise with water step outside into your garden and you can make a difference. Plants and landscaping that are water-wise can save a home a lot of water. With the current drought conditions, more resistant indigenous plants are the way to do. Also, reconsider your lawn, do you really need it or can you pave? Lawns love water paving doesn’t need water. Meat Free Monday has been around for a couple of years. This is not some ploy to make everyone become vegetarian but is something that makes people think about what they eat. Meat is expensive and by making one day a week meat-free the impact can reach further than just your bank balance. In line with going meat-free for one day a week choosing where you buy your food from impacts the planet. Choosing to purchase organic and local produced food from local farmers is very green. The food is fresher and tastier but your money supports your local economy. This simple change may mean a shorter drive to buy food and the carbon footprint of its production is smaller. Better than buying your food why not grow your own. When you grow your own food you are in control of any chemicals used and you know the food is safe. Growing your own food saves the planet and saves money by breaking the energy-sapping food production, distribution and retail cycle. The big thing about growing your own food is that you know it is organic. Get together with other households and grow a variety of foods together to increase the size of your food basket. If you drink bottled water think again about how green this is. Bottled water may seem green but the bottles nearly always end up in landfills. Bottled water is actually expensive for what it is. Consider investing in a home water filter, either a jug or a system built into your kitchen sink. By filling a glass or aluminium water bottles with home-filtered water you make a big contribution to keeping the planet alive. Drinking water plants use energy, plastic bottles end up in landfills and with home filtering, you cut out both of these. Remember plastic bottles are pollution on earth for hundreds of years. In fact, the Isotherm Insulation is manufactured from PET plastic bottles. 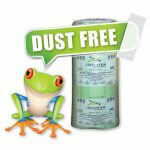 This makes Isotherm the most eco-friendly insulation on the market. What we eat and what we drink is one thing, what we wear and what we use is another. Even here you can save money and save the planet. Second-hand clothing has a stigma to it but second-hand clothing is nearly always in good condition. Second-hand clothing is always cheaper. No one will know you are wearing second hand unless you tell them. Second-hand furnishings save money too and even second building materials. Second-hand items are often thrown away and just like plastic bottles end up in landfills. Making charity and second-hand shops part of your life makes many aspects of life affordable and by recycling through buying you become green. Bottles, clothing and almost everything we use needs to be disposed of at some point. Before just throwing something away think whether it can be used again or elsewhere. Plastic bottles and packets are a great place to start. Did you know that you can stuff plastic bags into 2-litre bottles and make building materials? But consider the impact on the planet when disposing of anything. Batteries, light bulbs, computer equipment all contain components that can be recycled. Many things, especially batteries, have elements that are hazardous and must be disposed of properly. Make the most of the proper disposal options such as bins for light bulbs or cell phone batteries in some stores. It is not just the disposal of things we need to worry about but also what we accumulate. Paper is one of the biggest things we accumulate and we don’t have to. Reducing your paper trail will save trees. Paper can be recycled but not using paper at all is better still. Bank statements, store magazines and anything else that is printed can be provided digitally. If digital is an option use it and save some trees. Finally, consider how you travel. South African’s have a love affair with cars and the bigger the engine the more they are loved. Your transport choices can make a big difference in your pocket and an even bigger difference in the environment. Carpooling reduces fuel used and saves on parking. Using public transport saves a small fortune, less fuel is used, you arrive at your destination relaxed and your cost of travel plummets. Bicycle lanes have cropped up all over South Africa. Cycling is not just a leisure activity it can also be a cheap way to get to and from work or the shops. Cycling also keeps you healthy and by being healthy medical bills drop. And last but not least use your feet, walking is the most efficient way to get around and doesn’t cost a cent. Reducing the amount of air travel or driving will go a long way to save our planet and save money. Saving energy is easy; making your life greener is just as easy. It may mean stepping out of your comfort zone to do so but it can be done. A green home and green lifestyle really do mean you save money and save the planet.